Everything that leaves our building is professionally restored in-house. Located on Broad Street since 1992, we are proud to support our local businesses and neighbors. Two generations of the Gusti family have been serving the Richmond area for over 25 years. Podemos ayudarles con sus preguntas de equipos de cocina y todos los detalles de un restaurante o negocio. 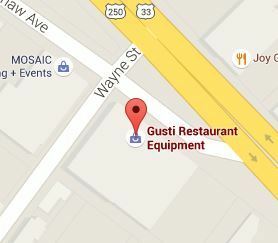 Gusti Restaurant Equipment is a family-owned and operated business that has been proudly serving Richmond, VA over 25 years. We offer everything from the front-of-house to back-of-house for restaurants, small businesses, hotels, churches, and even your home kitchen! We are open to the public and restaurateurs alike for all your cooking needs. With a focus on personal, upfront customer service, we strive to achieve your best vision and budget. Located conveniently on Broad Street just south of Scott's Addition with a showroom and warehouse of over 30,000 square feet, we sure you'll find something you need -- or didn't even know you needed. Great selection and excellent prices for my home kitchen. Asked by several employees if we needed help, while shopping, and an employee carried our purchase out for us. They are amazing. Thank you! To be able to purchase restaurant grade supplies and equipment for regular consumer with outstanding prices it’s definitely an achievement that this company has nailed! I was impressed from my visit of the expertise of their associates on perspective equipment and supplies. The professionalism of their team admirable. From someone who works in the customer service field, it’s always a pleasure to visit an operation to work customer service, competitive pricing and superior quality goes hand-in-hand. My wife and I visited different Restaurant equipment stores, looking for new equipment as we expand our business. The customer service was First Class, both the owner and his son were able to assist us with all of our questions. They provided us detailed information as well as printed information on all the equipment we looked at. They were knowledge of different types of kitchen set-up which help us. I would recommend other to visit their store. This was our second time in there store in Richmond. Best selection of equipment. Down to earth service. Joe and staff are the best. Have dealt with Mr. Gusti for the last 2 years and he and his family are so helpful. Without them I doubt I would have a business now as they were extremely helpful with pricing and payments. The range they offer and the knowledge they have of the market make them a great resource to use. Gusti Restaurant Equipment is your source for restaurant equipment, smallwares and supplies from the leading restaurant suppliers. 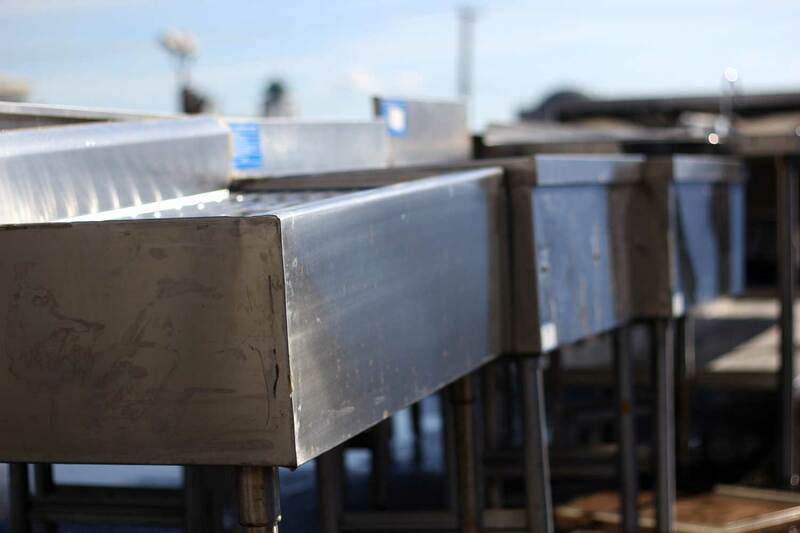 We have been selling restaurant equipment and restaurant supplies for over 25 years. Our primary business is selling and installing food service supplies and equipment. Our current customers are commercial food service operations such as hotels, restaurants, chains and institutions as well as home chefs. Check us out on Facebook and Twitter to learn about new products and offers. Sign up to our mailing list to receive information on the newest products and deals! Website locally designed with and built by Garza Web Design.